The Pop Group’s Mark Stewart talks to Getintothis’ Will Neville about their first new album in thirty years, their upcoming Kazimier gig and the impetus to continue to innovate. 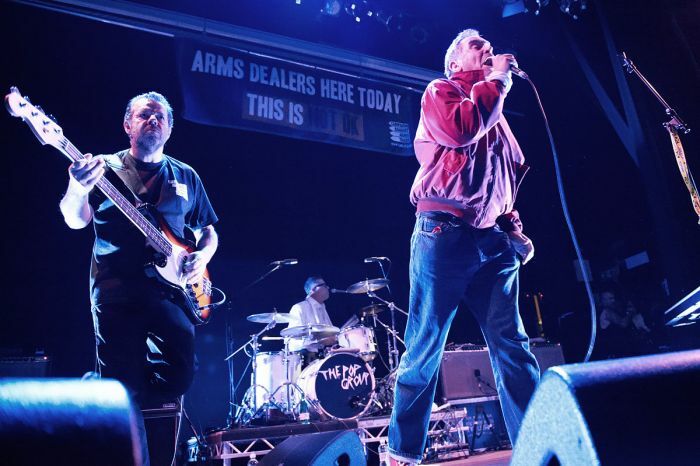 Mark Stewart has something of a prickly reputation as an interviewee, but this writer found him to be entertaining and very amenable as he shared his views on the band, the music industry and life in general in the UK. The Pop Group originally formed in Bristol in 1977, releasing three seminal albums before disintegrating in 1981. 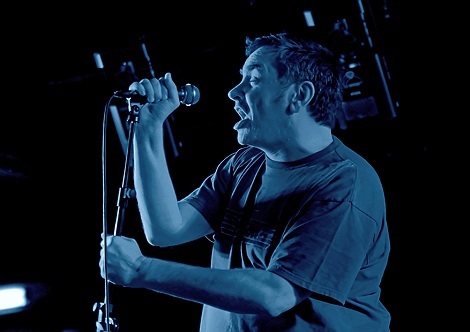 Singer Mark Stewart continued to release challenging records in his own right before the band reformed in 2010. They released new album, Citizen Zombie, earlier this year, to widespread critical acclaim, and return to Liverpool later this month for what promises to be an incendiary show. The visual element of the band is nearly as important as the sounds it seems, with the striking Lord Kitchener sleeve art for the new release joining an array of powerful images used on previous releases. The latest album was produced by Paul Epworth, perhaps a surprising choice given his recent rise to prominence as Adele’s producer, as well as credits for U2, Paul McCartney and Coldplay. “One of the points of The Pop Group is to always flip our own preconceptions, let alone anybody else’s. So it would have been really easy for us to make the most out there, experimental, freaky, unlistenable record you could ever imagine – I’ve been doing it for years! But suddenly Paul was really blowing up, he was constantly namechecking The Pop Group and my solo productions as really inspirational to him. The Pop Group continue to innovate and try new things, with their next record being a split single with Sleaford Mods, released in June. The band are planning on making the upcoming tour to be a real event for fans, new and old. “It’s like primal scream therapy. We’re looking forward to twisting the new songs. We bring out an amazing live dub mixer with us, kind of hypersonics live. It’s a real mad, immersive thing. It’s really experimental and out there. We really need the audience to leave their disbelief at the door and just freak out with us. It’s a bit like a crazed voodoo Baptist church – you can go somewhere else if the audience goes there with you. They continue to comment on society and politics, with Stewart defining himself as “a committed socialist”, while he has recently campaigned with friends standing against Nigel Farage in South Thanet. However, it would be wrong to paraphrase his socio-political views in a snappy soundbite. Stewart makes a point a couple of times in our conversation to state how much kinship he feels with the people and music of Liverpool, having played Eric’s a couple of times when the band were first around, as well as revisiting the city as a solo artist. The Pop Group play The Kazimier on Monday May 11 in conjunction with EVOL, with support from Zun Zun Egui. Those interested in Afrobeat/funk/dub-infused post-punk should make a date for it. * Courtesy of the good folks at EVOL, we’ve a pair of tickets to win for The Pop Group‘s Kazimier date – just give us a like on Facebook and leave the answer to the following post in our wall. Good luck. Q) What’s the name of the Pop Group’s new album?